CHICAGO (WLS) -- Dennis Hastert's attorney said the ex-speaker intends to plead guilty later this month in a federal hush-money case linked to allegations of misconduct. John Gallo said in a status hearing Thursday a written plea agreement is being finalized and will be handed over to the court on Monday. Defense attorneys made no comment while leaving court. After the hearing, a spokesman for the U.S. attorney only said, "We have reached an agreement in principle for him to plead guilty." Defendants typically agree to change a plea to guilty in hopes of a more lenient sentence. Hastert was not in court for Thursday's status hearing, but is expected to be present for the change-of-plea hearing scheduled for Oct. 28. Details of the plea deal will not be made public until then. The 73-year-old Illinois Republican previously pleaded not guilty to charges that he broke banking laws and lied to the FBI so that he could pay someone $3.5 million in hush money to hide claims of past misconduct. Legal experts say there was a plea deal in the works after Hastert's lawyers let the deadline for filing pre-trial motions and paperwork pass. They said a plea deal in a case like this is not unusual. "This case, from the outset, had the feel of a case that was going to or is going to settle short of trial. It's because of the sensitivity of the allegations. It's because of, in part, what seems to be strong evidence - that involves reading some tea leaves. So it would be no surprise if this gets resolved in the plea agreement stage and doesn't go to trial. I think it would've been surprising if it went to trial," said Gil Soffer, ABC7 legal analyst. A deal would avoid a trial and could potentially keep details of the case secret. "He will certainly argue and he will get credit for the fact that he has pled guilty and accepted responsibility for the conduct that he's going to plead guilty to," said Tinos Diamantatos, a former federal prosecutor and now private defense attorney for Morgan Lewis. Diamantatos says while a defendant's desire to avoid a public trial may be motivation for a plea deal, even with a plea agreement at the sentencing hearing evidence can be presented. "If there's any information that the government wants to present to Judge Durkin that they want his honor to consider, they'll do that - and of course the defense will have the same exact opportunity to bring things from outside the case," Diamantatos said. The Associated Press and other media, citing anonymous sources, have reported the payments were meant to conceal claims of sexual misconduct decades ago. Hastert allegedly structured cash withdrawals in increments of just under $10,000 to avoid financial reporting rules and then lied to the FBI about the reason for the withdrawals. 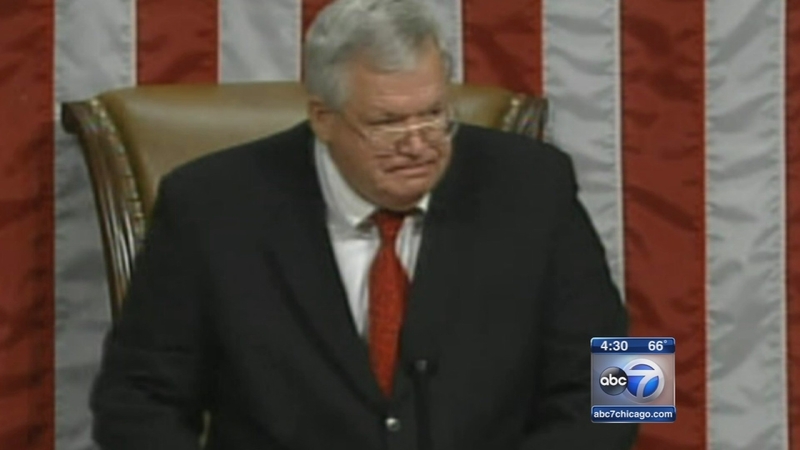 Investigators have said Hastert withdrew about $1.7 million. A plea deal would mean that "Individual A," who has never been identified, would not have to testify about receiving any of the money. The indictment against Hastert does not detail the underlying misconduct, and both prosecutors and defense attorneys have taken steps to keep the information confidential. Hastert's lead attorney, Thomas C. Green, has argued that the allegations in the media of past sexual misconduct - which he blamed on government leaks - could undermine Hastert's right to a fair trial. In July, Green complained that the indictment had "effectively been amended" by leaks and referred to the sexual allegations as "an 800-pound gorilla in this case." It's unclear if claims not in the indictment would have had any relevance at a trial, when prosecutors would likely have focused narrowly on mundane aspects of U.S. banking law. But they could have felt pressure to offer at least some details about the misconduct to explain motive to jurors. When Hastert was charged in May, the indictment noted that he had been a longtime high school teacher and wrestling coach in Yorkville, west of Chicago, suggesting the charges are linked to that history. If found guilty, Hastert faces five-year sentences for each of the two charges.